Michael was born 26 April 1872 in Drummeel. Michael had a long military career, initially serving with the local militia before enlisting with the 1st Leinsters in October 1897. He served overseas in Canada, and South Africa including the Second Boer War. He completed his initial army service in 1910, after serving eight years with the colours and four years in the reserves. 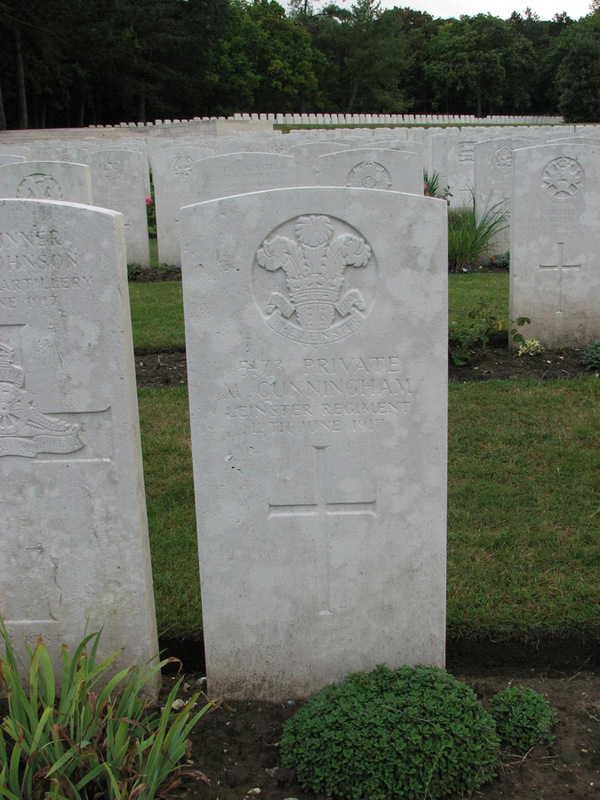 Prior to his death, Pte Cunningham served as a stretcher-bearer, attached to the 20th General Hosptial in Camiers, France. Although at the time of his death his battalion and company were serving in the Battle of Messines in Belgium, it is possible that Michael remained at Camiers and received his fatal wounds at a battlefield in this area.